Every time you are in need for some new tactical gear, you need to keep in mind that your tactical gear should meet the perfect balance between protection, comfort and mobility. A good tactical vest might be used in a dangerous situation so it needs to provide protection, but also a large amount of freedom on the move. It should also give you space and options to organize your other small tactical items and not to weigh too much just as well. There are three important things to look for when getting a good tactical vest: usability, mobility and protection. 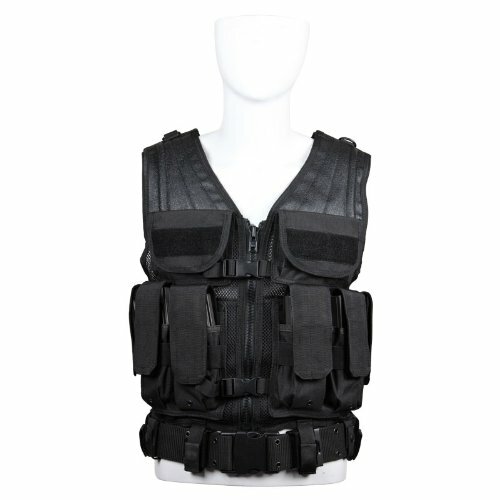 These three elements, combined, give you an efficient tactical vest. You also need to think – Molle or not? 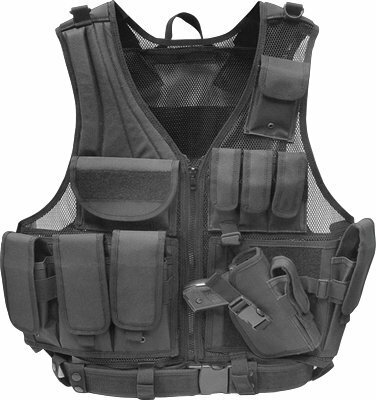 A pre-configured tactical vest has a lower initial cost and typically is lightweight. A Molle tactical vest gives you use in any situation and lets you customize it according to your needs and preferences. 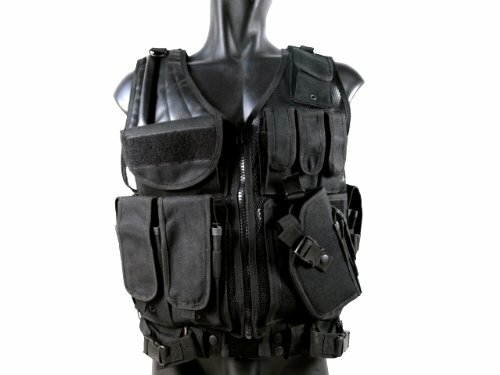 If you are looking to carry a single weapon (rifle/pistol), get a pre-configured vest. In case of multiple weapons systems, or a more exotic weapon system, a Molle vest with interchangeable pouches is your no. 1 choice. You can also get various sizes on the tactical vests. You can choose from a small (chest size 34-35), a medium one (38-40) or even pick a large size (42-44). The sizing differs and most manufacturers will give you clear sizing information. Keep in mind that you will be carrying the vest over your other clothing so you need to size that up when ordering the tactical vest. This goes especially if you need room for extra clothing or equipment under your tactical vest. Take a second to think about the environment and location where you’re going to wear the vest. If you need to crawl around quite often, “long lasting” is another thing to look for when buying your tactical vest. Frequent usage means a vest that can take all the elements, along with extreme weather conditions or tear by the owner. No matter if you plan to use the tactical vest daily or not, go for the long lasting vest anyways so that you don’t have to shop any time soon. 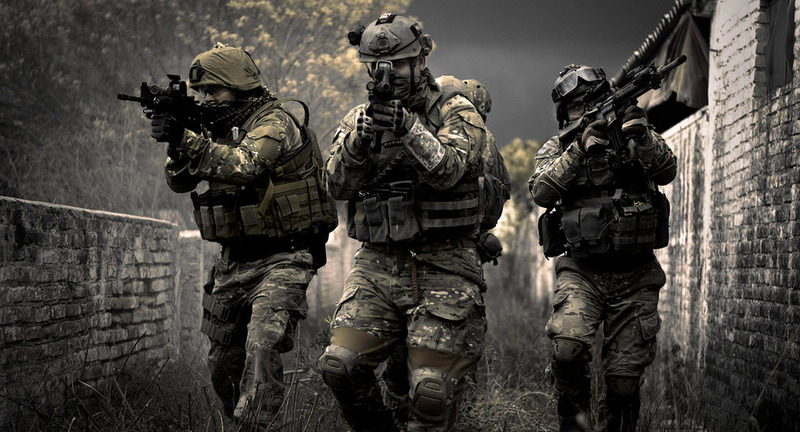 Most of the tactical vest owners out there act at least once as riflemen which means carrying a rifle or a pistol, or both. A lightweight tactical vest gives you speed and mobility on your special duties. A good, flexible Molle vest enhances your abilities to take on any challenge on the field. The type of gear on your tactical vest is also important and you can never downsize the hydration carrier of a vest. The utility pouches let you keep your important items close and at hand. This is way more important when using a weapon system as the magazine pouches become vital for keeping additional ammunition handy. It’s very important to know what you’re going to use your tactical vest for. It’s one thing if you plan to use the vest for some outdoor hobby and totally different when going on a military job. Once you know why you’re getting the vest, you need to decide which type to get as there are several types of vests. You can get a Plate Carrier– a tactical vest that is covered in Molle webbing and typically is more expensive. A Cross Draw Vest comes with pouches everywhere and has a zipper in the middle for easy removal. This is the most common type of tactical vest (it’s very easy to find it online or in stores) and it’s the most affordable one too. 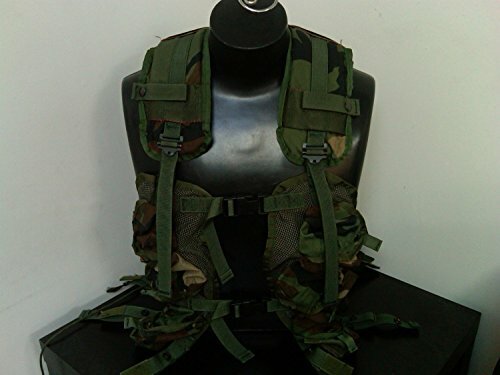 A Harness Battle Belt vest comes with a belt and may also have Molle pouches attached. It’s a lightweight model and has suspenders like straps that help with the weight distribution to the shoulders. It’s also a good thing to try the vest on and… don’t be afraid to use it. Don’t go on your first mission with your brand new tactical vest, but instead try it on a bit around the house or close by. In our opinion, the best tactical vest out there at the moment is the UTG 547 Law Enforcement Tactical Vest. The left-handed version is here. There are 4 adjustable rifle mag pouches (3 Right, 1 left), each for 1-2 most popular mags. As you can see, none of this downsides are major, they are only minor adjustments that the manufacturer could make to obtain a better product. But, you don’t need to sit on the fence when you see this, as it’s a great bang for the buck anytime. As always, make sure to check out the reviews and prices on Amazon. Another great tactical vest, specifically made for the law enforcement entry teams and firearm enthusiasts is the UTG Law Enforcement SWAT Vest. Despite these minor issues, this UTG SWAT vest is a great buy as you can depend on it in military missions or… outdoor hobbies. When you’re on the hunt for a good tactical vest for little money, take a look at the MetalTac Airsoft Cross Draw Tactical Vest with 9 Pockets and Pistol Holster. All in all, for the money you pay, you get a good, reliable, comfortable and pretty long lasting tactical vest. A recommended buy! See more reviews as well as pricing on Amazon. For a little over 20$, you can get yourself the US Military Enhanced Load Bearing Tactical Vest. 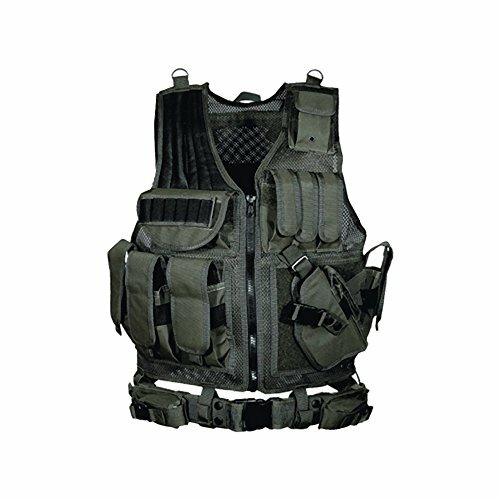 This well-made, good quality vest can carry up to 50 pounds of load and is designed to carry a lot of items and gear. 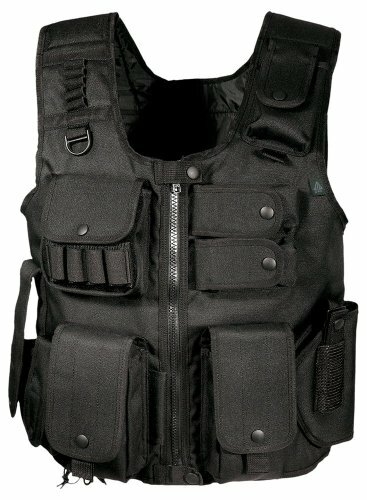 But, despite all of these issues, this is still a great tactical vest with an amazing price tag! Make sure to check it out on Amazon. When you’re on a hunt for a minimal-bulk, high-performance tactical vest tries this Condor Sentry Plate Carrier Vest. Next time you go shopping for a good tactical vest plate carrier, don’t hesitate to give this one a good look, as it’s a good buy. See the reviews and pricing on Amazon. If you’re on the hunt for a good tactical vest with holster, this Firepower Deluxe Tactical Vest Black is definitely going to work for you. Regardless, this tactical vest with holster is doing its job anytime you need. A good AR tactical vest that meets most of our needs and preferences is the BLACKHAWK D.O.A.V. 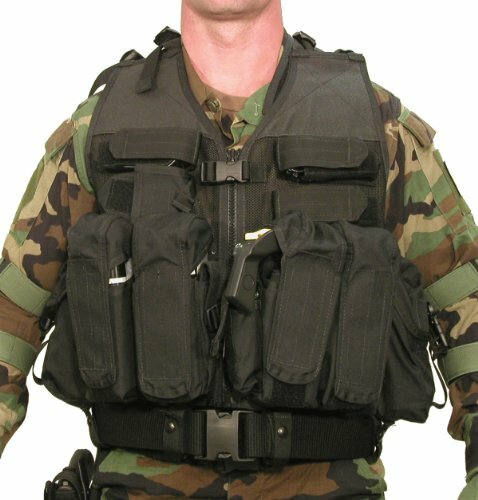 Assault Vest System. As long as you don’t mind these rather minor issues, this vest might work just fine as your AR tactical vest. For those of you who want a tactical vest that does more than just fitting your gear or pistols, try this Condor Elite Tactical Vest. But, in the end, this tactical vest manages to give you plenty of space to organize your gear, in a comfortable and well-priced way.